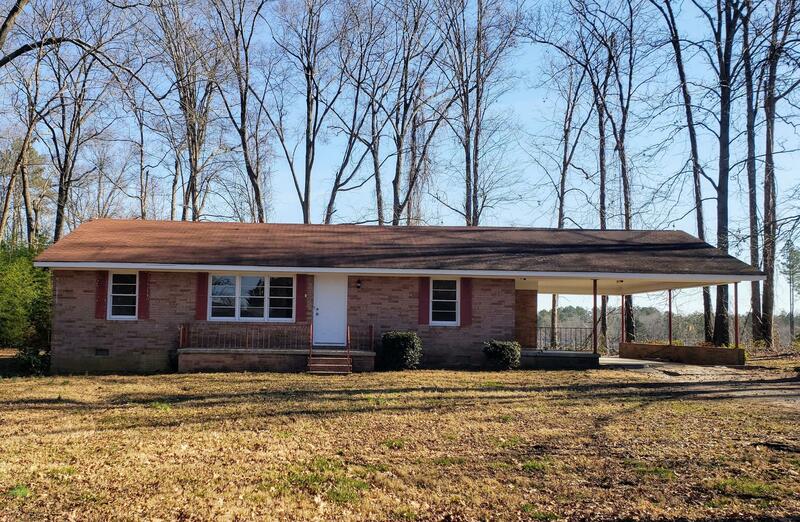 Brick Ranch on a large lot. Features two Bedrooms, one bath, living room with wood floors and built in shelves. Den, large, kitchen with eat in area, laundry/utility room, new tile floor in bathroom. Attached outside storage room, covered porch and carport. Great starter home with lots of potential.